Cosmetic Acupuncture Facial Rejuvenation is a natural anti-aging technique. 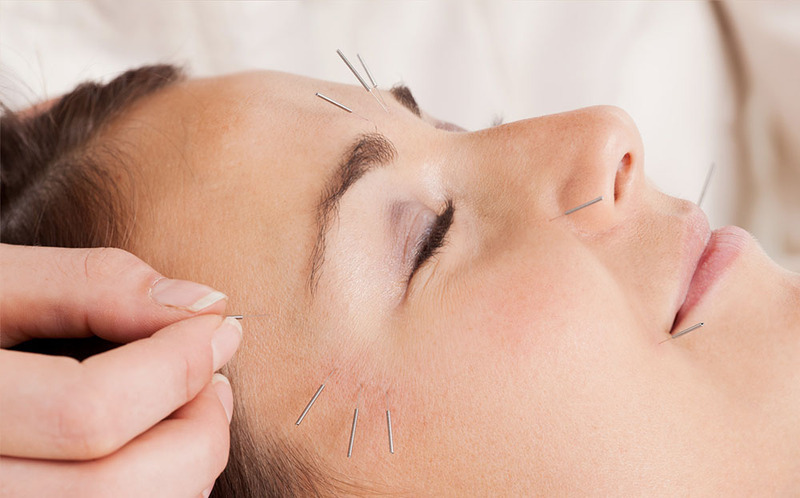 During Cosmetic Acupuncture treatments, multiple hair-thin acupuncture needles are inserted in regions of the body, face, and scalp to stimulates the body’s own healing energies. This promotes the flow of Qi or vital energy to increase circulation of blood in from the deep dermis to the surface of the skin. In turnCosmetic Acupuncture facilitates oxygenation of cells, detoxifies and carries away waste products from the tissue, while delivering vital nutrients that promote the production of collagen and elastin. The results include a visible reduction in fine lines & wrinkles, improved complexion, profound relaxation of facial muscle tension, and tonification of sagging or atrophied muscle & skin. These treatments are even known to reduce the appearance of facial scarring. More than a cosmetic procedure, this type of facial rejuvenation has been shown to increase water and oil content in the skin after five consecutive weekly sessions. A preliminary study from Kyung Hee University Hospital found it can improve the skin’s elasticity as well. Studies published in the International Journal of Clinical Acupuncture showed that of 300 test cases who received facial rejuvenation, 90% showed results after one course of treatments. The Acupuncture Facelift Package includes a series of 10, One-hour treatments, typically provided twice weekly over the course of five weeks. As a natural anti-aging and preventive medicine, it is best to receive these treatments periodically, with one course of care every 3-5 years when relatively young and/or healthy. More frequent care of one course of treatment every 1-2 years is recommended for those with: systemic wellness challenges, excessive sun exposure, dermal neglect, and/or those with advancing age. One of the advantages of an acupuncture facelift is that it takes less than an hour to perform and there is no down time required. This is one of the reasons that many people are choosing this form of treatment, as it can be performed during a lunch hour or other free time, and there are no glaring side effects, such as redness, peeling, or flaking that makes it obvious you had a skin care treatment. The marks from the needles are invisible as well, and there are virtually no side effects associated with an acupuncture facelift.